Do I Need a Car in Rincon? 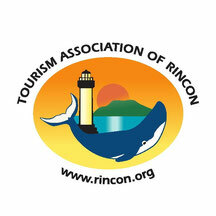 Most visitors to Rincon rent a car so that they can easily explore all the beaches, activities, restaurants and natural beauty of our corner of Puerto Rico. Driving in Rincon is easy. Its even easier if you purchase a copy of our Tourism Association Map or the Purple Lizard Rincon Map when you arrive at your hotel, guest house or resort. These maps make it easy to explore the best of Rincon. But don't worry - even without the map, if you take a wrong turn its just one more great place to discover. The roads are small two-lane 'country roads' with some twists and turns - but they are easy to navigate. The beaches all have public access and parking is available for most beaches. If you prefer not to drive on vacations, you can take a taxi from the airport to your hotel or resort. Taxis are available to meet flights that arrive at the Aguadilla Airport (BQN) or San Juan Luis Marin Airport (SJU). The areas in south Rincon that have less hills, Rincon's Caribbean Coast and Downtown are better suited to travelers without transportation. Walking is convenient to shopping and restaurants and the Downtown Plaza is nearby. We strongly advise renting a car for your vacation in Rincon, since exploring our corner of Puerto Rico is one of the highlights of any trip to Puerto Rico's 'Porta del Sol'. There are so many different beaches to discover and so many great places up in the hills to watch the sunset - you'll love jumping in your car and exploring! You will find easy driving instructions below. Car rentals are easy to arrange at all airports, all the majors car companes are there; Hertz, Budget, Avis, National. If you prefer not to rent a car there are some taxi services in town and lodgings on Rincon's South Caribbean Coast are more convenient for walking to markets and restaurants. San Juan Airport (SJU) to Rincón: There are a lot of steps in these instructions, but its really very easy and if you get lost, just ask anyone for Rincon! They are happy to point you in the right direction. The first hour from San Juan is on a modern toll highway (some rental cars are equiped with Speed Pass type cards, ask your rental company or bring about $4 in quarters, dollars are also taken but may take longer as only 1 or 2 booths will have an attendant to take them) and the style of driving is similar to any large metropolitan area in the mainland USA. Past Arecibo, the toll road ends and you take Hwy 2, a four lane highway with stop lights. From SJU Airport - Stay right on exit from airport, follow signs to Highway 26 (San Juan). Stay on #2 until you reach #417 (there is an overhead crosswalk - so you can’t miss it!). Don’t take #115 off of #2 or you will probably get lost. Take Avenida Nativo Alers (the sign is in the middle of the fork - take the left road). Go 1.5 miles, follow the road right, and then turn left when the road ends at #115. Take #115 (stay left – if you hit the beach turn around) approximately 4 miles to Rincon. Continue on Rt. 115 and you will enter downtown Rincon. Depending on where you are staying in Rincon - you'll want to get specific directions from their own website - or just stop and ask along the way! Getting lost in Rincon is almost impossible - and exploring is lots of fun! To go to the Puntas Beaches - go down the hill to the right just after the Speedway Gas Station or if you miss that turn, you can catch the road again just after the Puntas Bakery. Make a right out of airport parking. Right at the end of road which is #2. At the 2nd light (#115) make a left. Follow #115 (pass 2 Texaco gas stations, one on the right the other on the left). This is the road past 'Mango Alley' & Rincon's Caribbean Coast into Downtown Rincon! To reach the North Coast and Sunset Coast - make a left at the Surfer Startue and follow the road until it dead ends at Route #413, go left and you are on 'The Road to Happiness'.